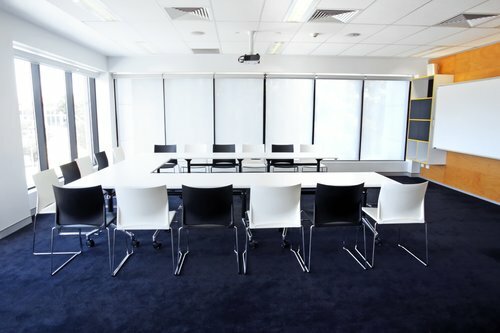 Located in the Parliamentary triangle (Barton), The Australian Leadership Innovation Centre (ALiC) is one of Canberra’s most desirable executive event facilities. It offers a unique open-plan design featuring natural light from our floor-to-ceiling windows, state-of-the-art technology and assistance from our helpful ALiC attendants. Our rooms vary in size to suit your needs. Our dedicated coaching offices are suited for one-on-one meetings. The York and Telopea rooms are available for groups between 5 - 25 people, while our world-class learning “Cauldron” can accommodate anywhere from 20 to 100 guests. Whole-of-centre hire is also available. Contact us today, to learn more about hiring our training and event facilities. Thank you for your interest in the Australian Leadership Innovation Centre. Our ALIC staff will get back to you soon. Rooms and seating can be arranged in a wide variety of ways to suit your needs best.